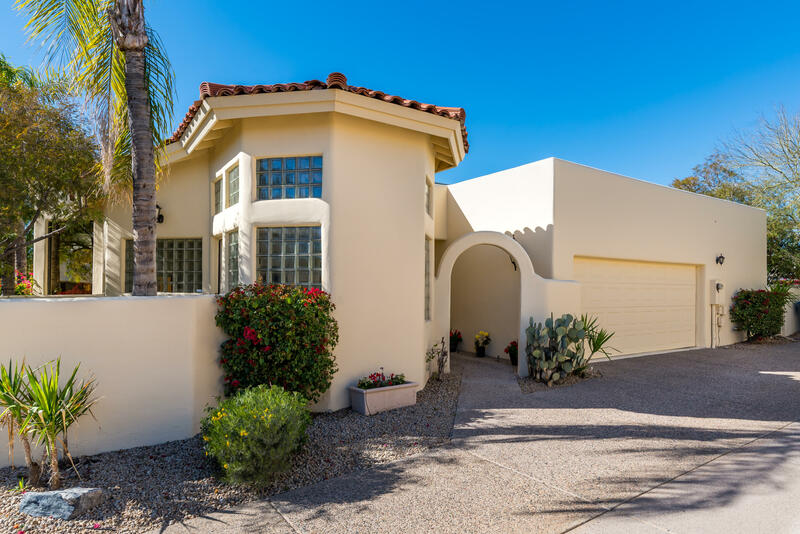 All VILLAS ENCANTADAS LOT 1-2 homes currently listed for sale in Phoenix as of 04/23/2019 are shown below. You can change the search criteria at any time by pressing the 'Change Search' button below. "LOCATION, LOCATION, LOCATION!!! Stunning home nestled in the foothills of the Phoenix Mountain Preserve. 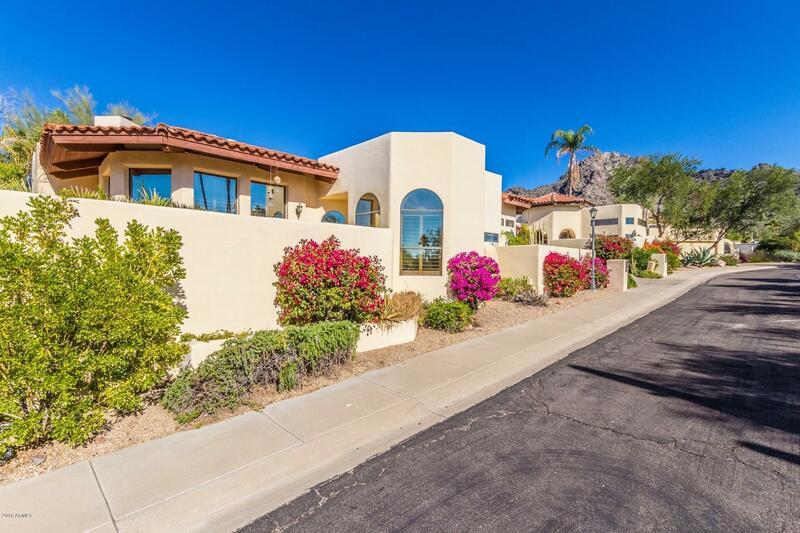 Tucked away on a private,gated street, this home is your personal sanctuary with 3 intimate patios, mountain views and a Pebble Tec play pool. Gourmet kitchenincludes high-end stainless appliances and a quaint breakfast room with vaulted ceilings. Julia Childs once cooked in the kitchen. Saltillotile throughout. Formal dining room with gorgeous hand painted ceiling mural. Large living room fe"
"Charming Villas Encantadas ... a special street of private villas and this one is the most luxurious. Dramatic Great room with soaring sculpted ceilings, flagstone fireplace and built in entertainment center, beautiful expansive windows for Mountain Views and rich warm toned wood floors. Remodeled Eat In Kitchen with Pearl Smoke Granite Counters, Auburn wood cabinets Jet Black appliances & Built in Frig. 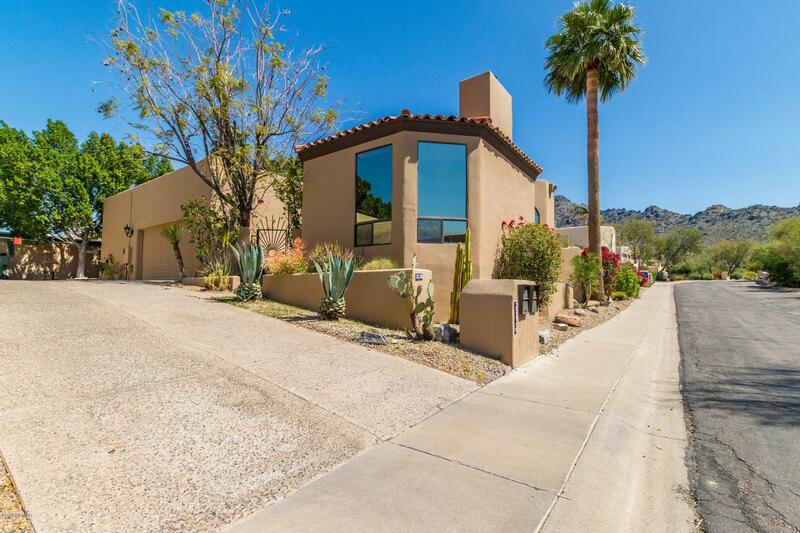 Master Suite double vanities, garden tub, separate tiled shower, private entrance to yard"
"It's a hidden gem, nestled in the foothills of Piestewa Peak. The Villas Encantadas is an elegant enclave of executive homes. Private gated flagstone entry opens to a dramatic great room with soaring ceilings and marble floors surrounded by Mountain Views and a riparian arroyo. Large open chef's eat in kitchen with double wall ovens, skylight, pantry and extensive cabinetry. Kitchen dining overlooks the backyard deck offering scenic desert views from a private balcony. 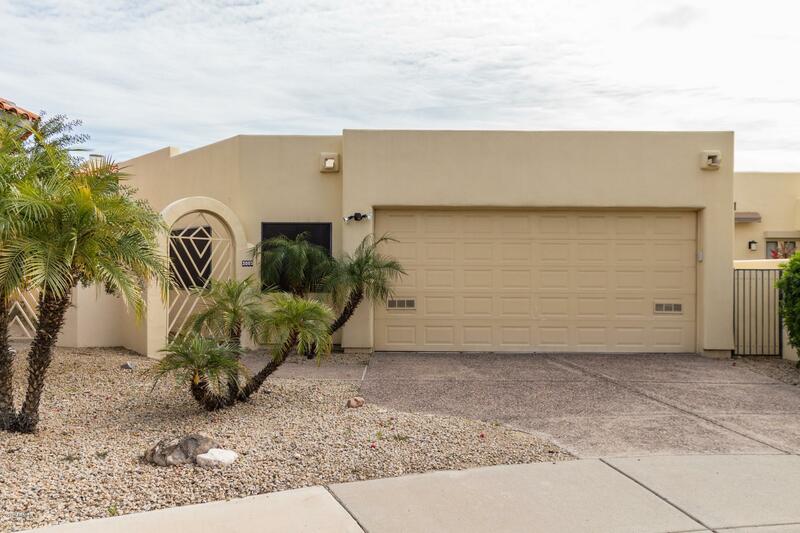 Enjoy the spacious mas"
"New price 4/22 on this model sharp home - Updated kitchen with granite countertops, stainless appliances and stunning white washed Viga and Latilla vaulted ceilings. Walk in pantry. Charming circular breakfast room connects to your outdoor BBQ patio with mountain and sun rise views! Dining room with walls of glass and a pass through window to the kitchen! Family room offers a fireplace & soaring ceilings - Two spacious bedrooms with oak floors, walk in closets. Remodeled bathrooms with granite "